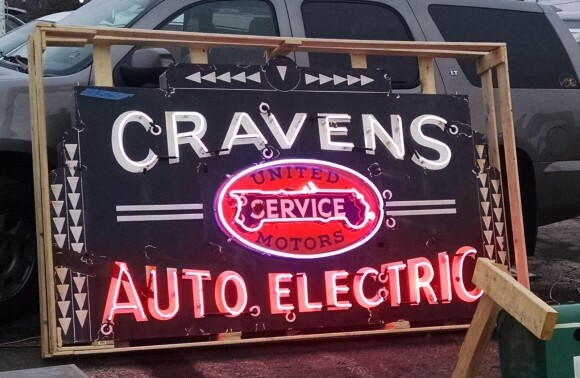 United Motors Service made this 5 foot by 8 foot sign for Craven’s Auto Electric. The sign is a single sided porcelain neon sign that lights up in red neons. The sign is primarily navy blue and has some white text, as well as a red area. This sign is quite large and likely heavy.